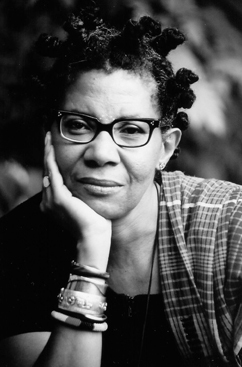 M. NourbeSe Philip is a poet, essayist, novelist and playwright who lives in the space-time of the City of Toronto. She practiced law in the City of Toronto for seven years before leaving to write full-time. She has published poetry, fiction, drama, and non-fiction. Among her best known published works are She Tries Her Tongue; Her Silence Softly Breaks; Looking for Livingstone; An Odyssey of Silence; and Harriet's Daughter, a young adult novel. Her most recent work, Zong!, is a genre-breaking, book-length poem which engages with ideas of the law, history, and memory as they relate to the transatlantic slave trade. Reception: 5:00-6:00 PM in 210 Humanities 1. This event is organized and sponsored by the UC Presidential Chair in Feminist Critical Race and Ethnic Studies. Cosponsored by the African American Resource Center, the Music Department, and the Living Writers Series. Staff support provided the the Institute for Humanities Research.